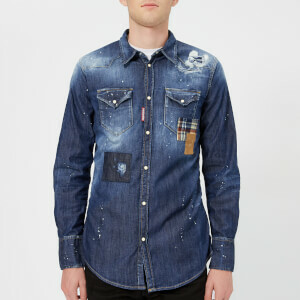 Men’s Western shirt from Milan-based fashion brand, Dsquared2. 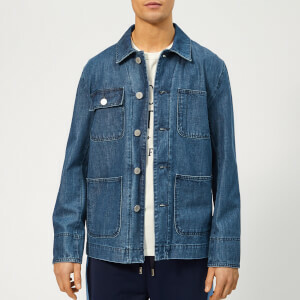 Presented in lightweight stretch cotton, the blue denim shirt features a pointed collar, a chest patch pocket and buttoned cuffs. 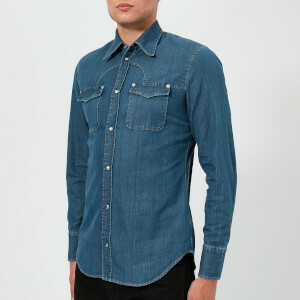 A curved hem offers an improved fit, whilst faded detail adds a distressed edge. 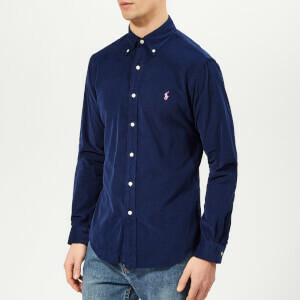 Front button fastening. A floral print handkerchief in the chest pocket adds the finishing touch.